Iran's giant car-manufacturer, Iran-Khodro Company (IKCO), plans to manufacture its newly-unveiled product, Peugeot 207i, in its production sites outside the country in the near future. 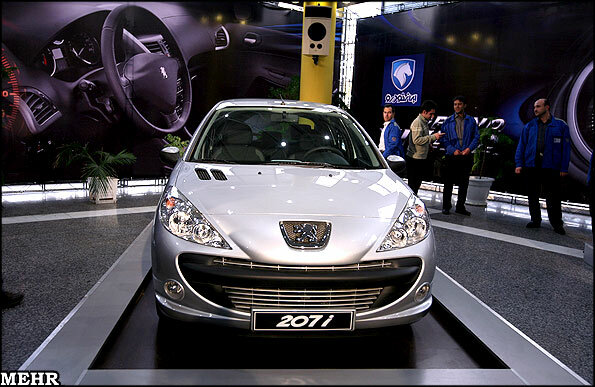 "Peugeot 207i can be produced in IKCO sites abroad," IKCO's project manager for 207i production Bardia Fardad stated. Reminding that the car would be produced in both hatchback and sedan models with automatic and manual gearboxes, Fardad said that 207i hatchbacks will be exported to 16 countries while the Sedan model will be exported to 62 countries. 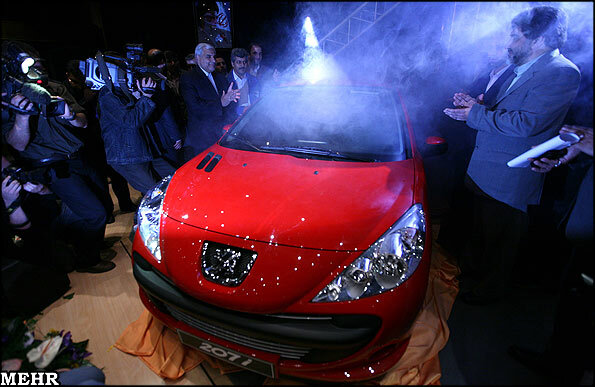 Regarding the volume of 207i production inside Iran, he said, "The mass production of Peugeot 207 in the upcoming Iranian calendar year (starts March 21, 2010) will vary from 15,000 to 20,000 sets." "The hatchback model is going to hit the market in the beginning of the next (Iranian) year and the sedan one in the second half," Fardad went on saying. Iran-Khodro Company unveiled Peugeot 207i in the presence of the Minister of Mines and Industries Ali Akbar Mehrabian on Saturday. During the ceremony, Mehrabian pointed to the priorities of Iran's auto industry to produce fuel-efficient vehicles, and said, "IKCO has planned to localize 207i and this would continue to cover 90 percent of the car's parts, a figure that is about 50 to 60 percent at the moment." He also predicted that the new car would suit users from the different social strata. 207i named 206 Plus is currently being produced in Brazil, Argentina and China, and Iran would be the fourth producer of this car. In November, IKCO Director Javad Najmeddin said that the company had signed an agreement with the French automaker to produce the Peugeot 207 cars at IKCO's facilities for export. "An agreement has been signed with the French carmaker to build the Peugeot 207i car in hatchback and sedan models," he said. According to Najmeddin, the produced cars will be exported to 63 countries, mainly to Russia, Ukraine, Bulgaria, Belarus and Serbia, as well as Central Asian, Northern African and Persian Gulf countries. Iran-Khodro is the largest Iranian automaker, having an average share of 65 percent of the domestic vehicle production.